I’ve never been much of a girly girl (5 brothers…) but I’ve recently gotten in to nail polish and painting my nails so they are never unpainted. This is somewhat of a laborious regime I have gotten myself in to, given the fact I chip my nails on the daily and I hate chipped nails. Thankfully the nail polish gods sent OPI to my beauty cabinet because that stuff takes ME at least 2 days to chip. Ozsale takes awhile to ship the goods, so I am eagerly awaiting the delivery which should come mid-Feb. I am also keen to try out China Glaze nail polish and Essie nail polish. What polishes are you loving lately? Priceline has Essie polishes, they frequently have 2 for $20 sales, which is a really good deal. I get mine there all the time now. And My Beauty Spot stocks OPI for $10. They don't have a big collection of them but still lots of pretty ones. Oh thank you for the tip. I will check priceline out. I am just looking for all different colours, so will check out Beauty spot too - thanks! Yeah, such a good sale! I don't really care much for Essie nailpolish. I find it a bit streaky and it chips fairly easily. I love online shopping...don't think I've ever paid full price for OPI! Ah, thanks for the tip on Essie. 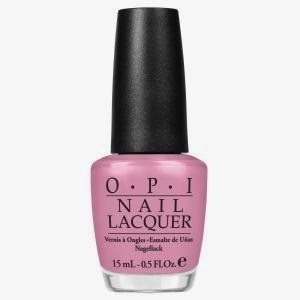 I think I'll stick with OPI as I have only ever had nice nails with it!